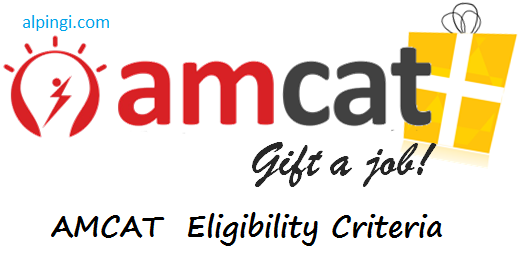 AMCAT Eligibility Criteria 2019 [Passing out batch or passed out batch of 2016, 2017 or 2018, 2019]: Dear if you are looking for Amcat Criteria for fresher, AMCAT test fresher candidates criteria or AMCAT Eligibility for freshers for BE/B.Tech/BCA/MCA/MBA Branches. Tips: We advise candidates to prepare quantitative aptitude subject thoroughly for better score in amcat exam. The given eligibility criteria is applicable for all the stream across branches. 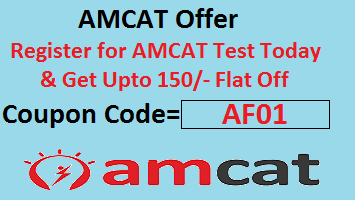 1.1.1 Who is eligible for AMCAT? 1.1.2 Can I re-schedule my AMCAT test and what are the rescheduling charges? 1.1.3 What is the syllabus of AMCAT? 1.2 4.What subjects AMCAT test cover ? Hi dear candidates, you search reminds me about one scenario. When i was in final year of b.tech i used to run for jobs after degree. I got off campus placement because i was not eligible for on campus placement criteria. In my college you can not sit for placement or not allowed to attent placement if you are having reappears(Backlog) in academic. You are planning for elitmus then you can check here and read all about it. Many people messaged me on Facebook and asked me “What is the eligibility criteria of AMCAT Exam”. Dear my direct answer to this question is “NO Criteria”. There is no eligibility criteria to take the AMCAT test but for reappearing in the AMCAT test one should not have appeared for AMCAT in the last 3 months or 90 days. Apart from above 90 days restriction, there is no percentage or educational qualifications criteria exist in AMCAT Eligibility Criteria 2017. Candidates Can find the relevant information regarding the AMCAT Eligibility mention in this article. Who is eligible for AMCAT? Can I re-schedule my AMCAT test and what are the rescheduling charges? Well, You can. Yes, Surely one can reschedule AMCAT test and can choose the another time slot for the test but next time slot must be 24 hours away from the current one. More than 7 days: No charge for rescheduling upto 1 time and after that Rs. 200 + taxes on all subsequent reschedules. What is the syllabus of AMCAT? All the Candidates who wish to appear in the AMCAT Test Check the AMCAT Syllabus and Sample Papers from the Given Link. 4.What subjects AMCAT test cover ? AMCAT Test has various section, few of them are compulsory and other are optional according to candidate’s education/study domain. The candidate can choose the skill modules based on his/her education and/or interest. For more detail about AMCAT eligibility criteria 2019 you can visit their official website or you can comment below, we will reach you back with detailed answer . While doing the Test Payment use Coupon Code. Now you will get instant discount of 100 rupees. There is No CGPA Criteria for the AMCAT. a backlog student can apply for amcat exam ?? Can 2015 passed outs also eligible to take amcat test? Yes, 2015 pass out Batch Students are eligible to appear in AMCAT Test. is year 2011/12 passed out students also eligible to write ? Yes ,2011/12 batch is also eligible to write amcat exam , you need to check the scheduled date for the same on their official website. 2013 passed out students also eligible to write test? if i scored good marks, will i get interview calls? yes, latha you are eligible. If you score good marks you will sure good marks. my cgpa is 6.78. if i score good enough in amcat.. is there any other criteria after that to get selected for a company?? I am final year student of diploma in ece. I took amcat. Is there any companies that hire diploma through amcat? Yes, AMCAT hire Diploma in ECE candidates as well. Please login to your AMCAT account and check the no of companies currently hiring and in which how many you are eligible for ! I am from mechanical background. I have completed M.tech in mechanical design. But I don’t have 60agrigate in PUC(12th). So still there is any chances? ?, to get placed through AMCAT.? Job through AMCAT is solely based upon your score in AMCAT test, If you score good you will get ample opportunity via AMCAT. There are few companies who consider candidates 10th and 10+2 marks but no all. So prepare well for AMCAT test. Am I eligible to write AMCAT ? Yes Venkateshwar, You can write AMCAT exam, Anyone who has graduation degree, be it B.Sc graduation or Btech and other streams can write the AMCAT exams. You will receive the job notification of companies who are looking for B.Sc graduation candidates. sir,I completed B.sc in physics(h),B.tech 3 Year course in Radio physics and Electronics which is equivalent to Electronics and Communication in 2011 and also M.tech in Radio physics and Electronics which is equivalent to Electronics and Communication in 2014.All the courses are regular. am I eligible for the compaines? Yes companies are hiring Radio physics and Electronics candidates as well but the number of opportunities is less in comparison to other branch like CSE, You can try the AMCAT test and also contact AMCAT team for the previous year data that how many companies hired Radio physics and Electronics students so far. You can write AMCAT but as per our knowledge, Companies are not hiring first year students so your score will count no value. For your information AMCAT score is valid for only one year subjected to company requirement. i have completed BE computer in 2014 can i eligible for amcat 2016?? Yes, All BE aspirants can apply for AMCAT exam. If you score good, definitely you will get benefits of the AMCAT test. i got less percentage in my b.sc computer science i scored 56%,isnt im i eligible for mnc company to attend interview as a fresher through amcat?!? I got below 60% in 10 standard and I got marks in AMCAT . Is there any chance to get the job offer in ID industry. I got 59% in my academics am I eligible for taking Amcat exam. i attend the amcat test before one month,that test was conducted from mindtree but am not got any result from the test,i dont know whether am eligible or not. Dear Kalaimathi, keep Checking your mail sometimes delay occurs. Currently i am studying 4th year BE so can i apply for the exam now or should i wait till complete my 4th year. 4th year students can give AMCAT exam as they are eligible to write AMCAT exam. Can petro branch student give amcat …? Can A Mechanical Student Appear in amcat exam and is there any scope as a mechanical engineer . Any age limit for writing AMCAT? If suppose we score well then in how many days we will get interview call ? If you score well in AMCAT exam, then there are very high chances that you will get many job opportunities sector wise. Suppose for example, you score well in English than other subjects then there is priority of calls from companies who are looking for excellent English in candidates. Can A textile chemistry Student Appear in amcat exam and is there any scope as a textile engineer? Dear Chirag, yes you can appear. If you Score good Marks in AMCAT Exam , they will Send Notification for same. Dear Manisha, AMCAT is Adaptive Test in Nature. There is No Negative Marking. My aggregate in BE is 58% and n 12th it is 59.5%…so if i score good in amcat…wil i be able to get place in good companies? and what is the average package? Yes, You should try hard on AMCAT score. Definitely you will get job notifications from companies. what are the charges of exam and can exam conduct in jharkhand? Yes Niharika, You should check eligibility criteria in this article and apply here for AMCAT test AMCAT Off Campus Drives Registration.. Pay the fee and schedule the test. Afterwards if you score good you will get job/interview calls accordingly. I will be graduating in 2017,when should I take the amcat test ? End of the 2016 or in starting of 2017. I am a BCom graduate 2014 passed out with 53% aggregate. Can I appear AMCAT if yes, how do I crack the exam, Which books should I go through for Aptitude and Reasoning? HEY, i am currently pursuing Mtech (cse). 2017 passed out is eligible to attend the amcat exam…If is it so we can expect companies ??? Dear Ranjit, Yes you Are Eligible to write AMCAT Exam . If you have Good Score,Surely Companies will be available. Sir my percentage in 10th classs is 57%.sir can I will be eligible for interview.if clear the amcat test. Dear priyanka, yes you are eligible to write AMCAT Exam . Hello Manasvi,AMCAT Helps both the Categories, Final year Students or Pass Out Students, Looking for Jobs. I finished my m.e in applied electronics. Incase of optional subjects what i have to choose either computer programming or electronics and semiconductor or do i have to take both? Hello Farook, Computer Programming Section Score will Help you to Join IT Companies and Electronics Section Will Help you to Join Core Companies. It Depends upon you Which Sector you want to Join. I hv completed MCA in 2014 and having 1 year experience but in very small IT company.And I wana join MNC , am i get a interview call of MNC through amcat if I cleared it with good score..
Hello Fasih Uddin, If You Able to fetch Good Score , You will sure get Interview Calls . Hey,I am in 3rd year BSc.it..Am I eligible for Amcat exam?? As they have mentioned in their eligibility criteria MCA BCA BE/Btech MBA students can apply? So Am I eligible? Iam from electrical and electronics engineering background.now iam pursuing final year . Am i eligible to write AMCAT test in 2017? Dear Giridhar, Yes You are Eligible to Write AMCAT Exam. i am in MBA Ist year,could i apply for AMCAT this year. My cgpa is 5.86. Whether I vl get jobs if I take amcat? And what is online job fair that amcat is conducting.? I have finished my B.E. from electrical and electronics in 2014 and completed M.Tech from Electrical Power System in 2016. Am I eligible to write AMCAT? I read AMCAT hires more from IT background. Will I be having any advantage? Good evening, my self Harish mandal,and I am from odisha.i have completed my diploma in elementary education from a government organisation of odisha.i have already cleared both otet and ctet. now I m pursuing my graduation last year in ignou. May I eligible for applying the teach for India. Pls sir/madam inform me as soon as possible. I’m Sunil ,A civil engineering graduate ,I want to know about AMCAT and how can AMCAT help me ?? B.com graduates are eligible for amcat or not???? Hello Sajidkhan, All the B.com graduates are eligible for amcat. I am pursuing by bcom 2nd year am i eligible for amcat? I am B.E cse 2015 passedout student.can i eligible to take amcat test. Hi, I am 2005 passed out commerce graduate, Can I take amcat ? Sir, if you are 2005 pass-out then You need to connect with amcat official regarding this. I got marks in class 10th is 57% and in 12th is 60%.After giving AMCAT exam, Does the company call me for interview ? Sir I am continuing b. Com 2nd year… I am eligible for amcat exam? Am I eligible to give amcat exam? Am I eligible for amcat??? Will the company call me to the interview???? I have completed m.sc in electronics in 2014.am I eligible for amcat? How many companies recruited such m.sc electronics candidates through amcat? How long I get the job calls after scoring in the amcat test? i am a economics student.whether i can write this exam or not. I have given amcat on 31 st december 2016. now our college has organized amcat on 17th feb 2017. am i eligible for it? Sir, I am a BCA graduate. Am I eligible to apply for AMCAT?? I’m Mohamed mansoor.I’ve completed B.E(CSE) in 2012,I didn’t have any clear track record of experience.Am I eligible for amcat now?if I pass the amcat test,can I get any jobs?pls tell me. Next I am going to 3rd year BCA. can I eligible for writing amcat exam on june,july 2017? Sir,what is the good score out of 900 in amcat? 90+ percentile considered good. you won’t get to know how much you scored but percentile amcat will show to you. I had appeared for test and selected for one company.. So I wanted apply for other companies, so what I have to do.? Hi Kiran, You will get more calls based on your AMCAT score from different companies no matter whether you got placement or not. But if it was company specific test then you won’t receive any calls. plz reply elaborate your doubt for further assistant. Can MTech students appear for amcat?? Yes, Reddy M Tech Students can apply for AMCAT Exam 2017-18.
i am a 2015 passed out and I would like to take the amcat test. I also want to know the fees of this test. Hi Shabeer, 2015 passed out can take amcat test and fees for amcat exam is Rs 990 plus taxes (including a year’s subscription). I am 2014 passout with some experience in development and wants to switch for software testing profile.amcat will be beneficial in this case? I m pursuing BE from computer science.As I m I my last year of engineering,am I eligible for AMCAT sir. Hi. I’m 2011 passed out. B.Tech with ECE. I don’t have any experience. Can I take AMCAT. Pls suggest me. I am not from Telangana,so can i write this exam? I have completed biomedical engineering in 2016.which module should I select for the test? Because they haven’t specified the biomedical branch or related module. i am 2013 passed out(CS)am i eligible to take amcat exam,will companies hire 2013 batch ppl..
What is the last date for the registration of amcat exam 2017-2018? Im a 2017 passedout student. I have 5 backlogs stil but had gud communication skils and never feel nervous on stage. May i apply for amcat now? can 2015 passed outs can write AMCAT exam in 2017.
sir i have completed my graduation in 2012 m i eligible candidate for amcat exam……please reply my question answer…. Is B.Sc agricultural students can apply for amcat to do jobs in banks. Is B.Sc agriculture students can attempt this amcat exam so as to to do job in banking sector? Is diploma electronics and communication engineering student is eligible to give amcat exam? I am 2016 passout student, can I take amcat exam ? M.sc IT can apply ? mTECH FRESHER IN DIGITAL COMMUNICATION CAN GIVE AMCAT? WILL I GET JOB OFFERS AFTER GETTING GOOD SCORES? Dear Sir, I got the following score in Amcat.Can I get any good job offer through it. English = 97.1 percentile,Q quantitative ability=88.8 percentile,l logical ability=67.2 percentile, telecommunication engineering 99.7 percentile,Electronics and semiconductor engineering 56.9 percentile. i am M.Pharm postgraduate 2010-2012 passed out.Am i eligible to write AMCAT. Yes, you can write but please make sure that how many companies are hiring 2012 pass out batch students. i have already taken AMCAT in 2014 now i am pursuing my M.Tech final year, may i register again for the exam or can i make a betterment for my AMCAT score? I have taken my AMCAT in 2014 when I m in my final year B.Tech. And my session has expired. Now i am in my final year M.Tech can i rewrite the exam for betterment with the same AMCAT ID or is there any necessity to register again? Please kindly let me know the amount so that i can proceed further. sir,im 2016 passed out student,if i give the exm vl it be benefical or not as 2017 batch is already out. I am btech final year student…. can u plz tell me coding ques are available in amcat exam or not? Hey! I have completed my bba and now I’m preparing for amcat..i wanna know that what more courses i can do so amcat will offer me some good paying jobs i dont think only on the basis of bba any good company will offer me a good job..
12th passed students can apply in amcat examination? can 2011 m.tech passout take amcat?after spending 6 yrs in teching profession n taking amcat,is thr any future scope of getting calls from companies? Yes, Mitali 2011 batch passout can take amcat test. Check out our exclusive coupon code for discount on AMCAT. Am a graduate in BCom (Computer Application) Am i elible to apply? Yes, Balaji You can apply for Amcat exam. Sir, i am e&c engineer, i completed my degree in 2011.Am I eligible for AMCAT..? Yes, you are eligible for amcat. Please make sure to ask AMCAT that how many companies are hiring 2011 passout. i am pursuing my btech in Electronics and Communication Engineering.. Bt i am only interested in IT companies for my job..what subject should i choose for amcat xam?? My name is Azhar Ahmed and I am e&c engineer I have my amcat exam on 10th Sept.I want to know if AMPI is a compulsory subject for engineers. hello Sir ,i am now persuing my masters in engineering 2nd year .Can i take AMCAT TEST? Are Diploma candidates eligible for AMCAT? I completed MBA 2016.Specialization is Finance and Marketing.I am eligible for AMCAT? Sir, I am 2014 passout. Am I eligible? I will pass out in July 2018, can I be able to apply for Amcat in January 2018? i completed my b.tech in 2015 with 63.5% . am eligible for amcat. i am 2013 batch passout . am i able to give ? Make sure how many companies are hiring 2013 passout batch in amcat. I am 2013 pass out I am eligible for Amcat exam. Can Civil engineering background students give the test? Yes, Civil candidates can appear for AMCAT test. is their any graduate percentage need to write amacat exam? sir, is there any criteria, like while register you should not have gap more then 2 years? if i will qualify in amcat exam but i will not qualify in interview even then what can i do ,plz tell me answer. You need to qualify for interview at your own… however you can try for multiple companies interview as AMCAT will give you multiple options. i am a bba graduate. can i give amcat exam? I belong to mechanical department, shall I get calls?? I search your engine found to get, only CS and EC so Shall I get sir?? Hello sir, actually am 2016 passed out am thinking to take amcat test in this month,is there any possibility of getting interview calls from amcat?or its useless. Sir, I m M.Tech in Mech engg 2018 batch and B.tech of 2014 batch. So am I eligible to give the test in order to pursue my career in IT industries. Yes, M.Tech holder can try their hands on AMCAT test in order to enter IT industry. Dear admin can someone who have completed bsc biotechnology can give this test? I am a BSC IT student, completed my degree in 2018. If I will write AMCAT exam, what are the chances of getting interview calls from companies. Request you to please respond to my query as soon as possible so that I can write this exam. Currently I am in final sem of BE persuing electronics and communication branch. And I have low percentage. Can I get the companies interview call especially from electronics companies? Because I don’t have any knowledge about software. I am a year lag student. I have already done my 5th year, but I will still need to give one more backlog exam for one subject after 4 months. Is it possible to get an internship or a job in a startup through amcat ? Is it possible to take amcat test before BE graduation? Am bcom Cs and I also studing mba can I apply for amcat exam ? My 12 th marks was 58% and 10 and semester ware 77%and 65% , isn’t i get a job through amcat exam if I will score well ? I want to know how to select two module with the detailed syllabus given for Engineering Computer Degree Student, Should all the question from modules with exception of the compulsory module together all the section consist how many questions? My close relative completed her M.Tech. course in ECE branch. Is she eligible to appear AMCAT test? Please reply. i have less than 60% in BE after writing amcat are job possible ? I Will be passed out in 2019,Can i appear for AMCAT in after then? Yes sathwik, 2019 passout students can apply for AMCAT exam. sir,i got in 10th standard 67% and in 12th 59% and in b.tech my current cgpa is 6.69 can i eligible to fill AMCAT application form and can i get job in MNC companies. I am pg( msc-computer science) passed in 2018.can I eligible for Amcat exam..? Sir, I have been completed M.TECH in 2016.can I eligible for AMCAT exam? Yes, M.Tech Candidates can try AMCAT test. i am kavya sri… i passed 2016(btech)… am i eligible for this exam?? i’m in 3rd year, b.tech of EEE branch. can i take AMCAT EXAM. I AM PURUING PGDM FROM IMT CDL , AM I ELIGIBLE FOR AMCAT EXAM. Sir, I have been completed MCA in computer applications in 2018.can I eligible for AMCAT exam? I am pg( MCA in Computer Applications ) passed in 2018.can I eligible for Amcat exam..? Is their is any opportunity for 2014 passed out to enter into IT. Does a m.sc. student can apply for amcat?? Yes you can apply. Use coupon code AF01 for getting off. Hii Anish, yes you are eligible. Hii Anish, yes, you are eligible for AMCAT.